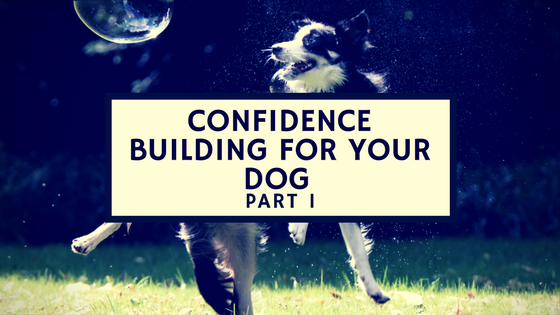 I had a special request from one of my favorite longtime friends to tackle the subject of confidence building in dogs. This can be a tricky task- in my opinion it is far easier to rein in an overly confident dog with dominance issues than it is to build up a dog with confidence issues. However, I do it on a daily basis, and with dedication it can be done. First, in Part 1, we will discuss a couple schools of thought on confidence building in timid dogs. Then in Part 2, we will go over some exercises you can do with your pooch. Finally, I will go over Sammy the Dog Trainer's Do's and Don'ts for fearful pups in Part 3. Dog trainers can be draining. 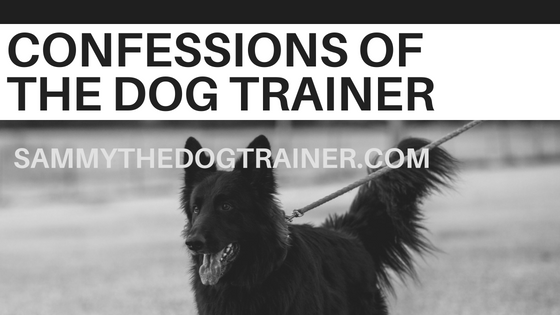 The stereotype of the dog trainer is an overly confident person who thinks his or her method of training is THE RIGHT WAY and everyone elses' is THE WRONG WAY. And he or she will follow his or her method until dogageddon happens. If you are friends with more than one dog trainer, avoid inviting more than one to a social occasion at a time because all the oxygen will get sucked from the room. I jest, knowing that I, myself, can be guilty of these logic fallacies from time to time. 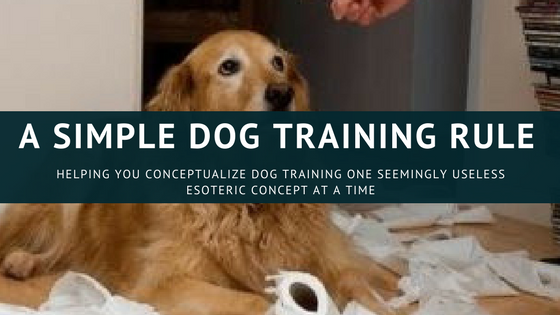 However, in all seriousness it is the work of all educated dog trainers to drum out this method-religion and to instead promote a more academic approach to dog training. By academic I mean experimenting to see what works for your dog, keeping an open mind to different techniques and approaches, and not ruling out possibilities because they do not fit in a a rigid mindset. 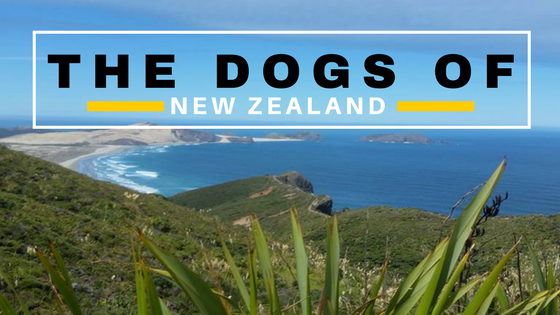 I am privileged to belong to a few dog training organizations that are cutting edge, ground breaking, and academic-mindset friendly (if you get a chance check out The Association of Professional Dog Trainers). I like these organizations because they have made leaps and bounds away from the archaic turf-war mentality that used to plague the profession. That being said, there are a couple ways to go about introducing your dog to scary things. Some trainers will tell you to never force the scary thing (whatever that thing is that frightens your dog). They will tell you to wait until she decides on her own to confront the scary thing and then to praise and reward with high value treats. I agree with this, to a point. Patience is key when rehabbing a fearful dog. However, a dog probably will not ever choose to confront a scary thing on its own, given the choice. I like gradually coaxing a dog with high value treats to confront a scary thing, slowly decreasing the distance between Scary Thing and Dog, treating the whole time. This works UNLESS your dog is so scared she does not want treats or she is not food motivated. You have to pay your dog in the currency in which they want to be paid- for lots of dogs it is stinky liver treats, but for some it's a Kong or your approval/praise. When dogs are confronted with The Scary Thing, they often go into fight or flight mode, in which their adrenal response is heightened and eating is illogical at this juncture, thus your high value treat currency sees a stock market crash. What do you do then? There are a couple approaches you can try. You can increase the distance between your dog and The Scary Thing until she is accepting of treats (and no longer in fear response mode) and then work your way from there. Or you can take the plunge and force your dog to confront The Scary Thing with you at her side (yes, you have to be her moral support otherwise you will probably give your dog a complex). Academically loads of dog trainers object to this approach. HOWEVER, I have seen it work over and over again. The key is how you go about it and in what situations you choose to use this approach. See Simple Dog Training Rule for a bit on how to gradually increase your dog's ability. I trained a dog who was terrified of wood floors. Red had lived his entire life in a carpeted home, so when his owners moved to a new house with hardwood floors in many of the rooms, Red was cowed. No amount of treats or coaxing would get Red to touch the evil, lava floors. I had to abandon the gradual methods based on his non-response and went for the Take the Plunge option. I deposited him on a small throw rug in the middle of a big room. He was on a tiny rug raft in a sea of shark infested floor. I sat on the edge of the room and talked to him in a confident voice. I was not quiet or soothing. I talked to him in an excited, happy tone, like this was just another obedience exercise and I expected he would do great! I picked this confident, louder tone, rather than a soothing tone, because I wanted work out of him- I wanted him to move across the floors. I might opt for a softer tone when comforting a dog afraid of fireworks, for example. Eventually Red, seeing there was no doggy ship that was going to rescue him from his marooned state, decided to give walking on the floors a whirl. He found that it was perfectly okay, and I was very pleased with him when he did. If he slipped a little, I would just tell him it was no big deal and keep on with the excited let's walk-around attitude. In about three minutes, Red was no longer afraid on the floors. He actually started to manically careen around the house because he was so proud of himself. We had to make sure he did not spin out and crash into a wall. One of the biggest considerations when doing this type of rehab is the personality of the dog. Red was otherwise a very dominant, confident dog. Overcoming his fear put the proverbial S right back on his chest. You could tell his fear was depressing him, so when he conquered it, he was that much more a super-dog. I have done similar training with dogs that are afraid of different surfaces and previously refused to walk on them. I put their leash on, I walk around a bit and do some obedience on acceptable surfaces. I get them used to trusting and listening to me. Then I start walking, build up speed, and walk right over the scary surface. The dog is forced along with me, but because he is used to following me at this point, the momentum carries them over their fear of the scary surface. Their need to be with the pack leader and please her overrides their fear. Sometimes I help override their fear by walking along, forcing them to come. It does not take long for them to realize they can walk on the scary surface. The leash is your friend- use it. Sometimes I call it my Confidence Tether. There is a spectrum of timid to confident in dog personalities. More timid dogs need some help discovering their proverbial S on their chest. 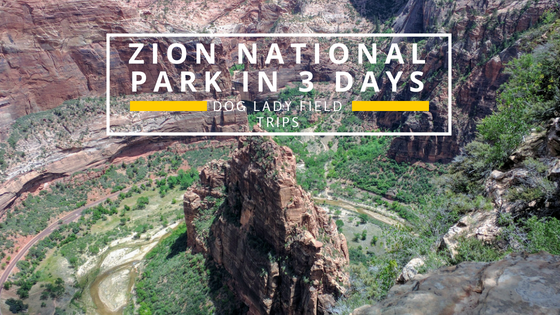 The way we do this is through obedience training and gradual fear-conquering steps, starting with easy fears and working our way up to the Big Scary Thing. Obedience training gives order to dog's world. It makes life make sense to them. Instead of seemingly random things happening to them, the happenstances start to make sense. In a trained dog's mind he knows "If I do these things, I get rewarded. If I do these other things, I get punished." It puts the control over what happens to them into their paws, rather than being the victim of random happenstance. Basically obedience empowers your dog. It also teaches them how to act to live a fulfilling life in a domesticated world. Dogs tend to be very Type-A. Each new thing they learn, their self confidence blossoms. They love the attention and atta-boys(or girls). Burpy had a long list of fears from trash cans to bicycles and everything in between. Instead of doing the Take the Plunge method, I opted for the gradual approach. We taught Burpy basic obedience first. You could see Burpy starting to already become more confident with his new-found knowledge. Then we tackled the least of the Scary Things. This was the trash can. We had Burpy sit 20 feet away from the dreaded trash can and gave him loads of praise and treats. Then we did 15 feet and the same praise etc. Then 10. Eventually we had Burpy sitting next to the trash can. He was not happy about sitting next to the trash can, but he made it this far so he tolerated it. Then I gave him the touch command (a command where the dog touches his nose to your fingers) a few times with rewards. And then, gasp the unthinkable, touch with my hand ON THE TRASH CAN! Burpy did it no problem. He touched the trash can over and over. Fear conquered. The reason for this is the gradual work up and I acted like it was no big deal. Next we went on to conquer his fear of bicycles. We used the same gradual distance approach. If he started barking, I would correct him and then bring him around and make him sit. When he sat he got loads of reward. Next time when we passed the bike at the same distance, no barking, but Burpy was looking at me to see if I would tell him to sit. I did. He sat. Rewards and happy dances! Then we moved closer and closer as the bike went riding back and forth by us. Each time Burpy ignored the bike and sat for me, he was amply rewarded. Burpy had figured out if he does what Teacher says, then The Scary Thing is not a threat. Teacher will protect me from The Scary Thing and Teacher will reward me if I sit like a good boy. Then we started taking field trips and touching other trash cans and ignoring bikes in other places. The more places you can conquer a fear, the better. Again, you must consider the personality of your dog when selecting a method. Burpy was a more timid dog, so he required a more gradual approach than Red. The only thing holding Red back from his superhero dog status was this one fear. Some trainers will tell you never to correct a dog when you are rehabbing them from being fearful. I have seen it go both ways. I have seen cases where this is definitely the way to go- that punishing or correcting behaviors during the course of behavioral shaping will not get you what you want. And I have seen other cases in which the dog needs the correction in order to understand what you do not want from him or her. 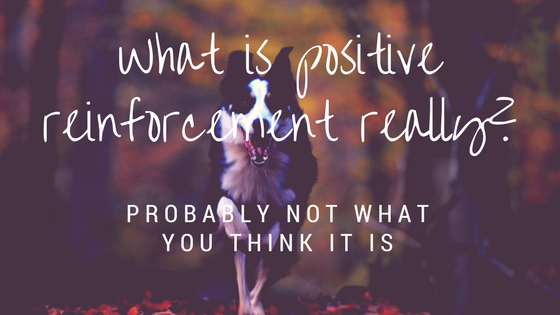 Sometimes part of the dog's fear is not understanding what you want from him or her, and so using humane corrections helps the dog to learn what is you want and what you do not. Usually I pick from these two methods by the behaviors being displayed by the dog. If the dog is doing something unsafe or markedly undesirable like viciously barking, then I will use corrections (humane and always safe) as well as rewards for good behaviors. If the dog is very timid and only displaying avoidance behaviors, I will not use corrections. Instead I reward when I see any inclination toward the behavior I want, and stay firm and placid while the dog tries to avoid. For example, if a dog is trying to run away to avoid a Scary Thing, I will simply hold firm to the leash. I will not correct him or her for pulling or jerking around, but I will not let them run away either. I just wait calmly until they pause, and then reward the momentary pause in flight behavior. A dog's age also plays into confidence building a bit. Younger puppies can be naturally more timid than adult dogs (although there are puppies on the more dominant end of the spectrum who bomb through puppy-hood without a doubt of their invincibility, so this is by no means a rule). Dogs go through a fear-imprinting stage between 8-12 weeks of life in which traumatic events can sometimes lead to long-lasting fear behaviors. People immediately think of abuse and rescue dogs, but it could be something as simple as a thunderstorm or fireworks. This stage affects some dogs more than others. Dogs almost always will adjust slightly in their personalities when they become adults. Generally this is between 9 months to 1.5 years, but can be as old as 2-4 years in certain breeds. Also, as dogs age, they can develop new behaviors. This is the product of their health slowly declining. It is important for senior dogs to still feel their proverbial S's, so instead of being sad Mr. Pickles walks less than he used to, be super excited when Mr. Pickles walks a bit with you, and play act at being so worn out after this shorter walk. Mr. Pickles will be satisfied that he has done his doggly duty and exercised his human properly. Senior dogs still need their obedience achievements and rewards for accomplishing feats just like they did when they were younger. Their feats might be just a bit easier now. Breed can play a role in personality of dogs, but it is not a hard and fast rule (See Breed Tendencies). Do some breeds tend to be more neurotic and fearful than others? Sometimes yes, and you should take into account the general personality type promoted in the breed before adopting or buying. However, every dog is different and every dog is an individual and should be judged on their merits and not those of a breed stereotype. Sometimes owners are terrible at figuring out what is really wrong with their dog. I see people time and time again think their dogs are fearful, when their dogs are simply disrespectful. Fluffy growls because Fluffy has been coddled every time she does growl. Fluffy is not fearful. Fluffy views her owners like her subordinates or her chew toys and Fluffy is guarding them. 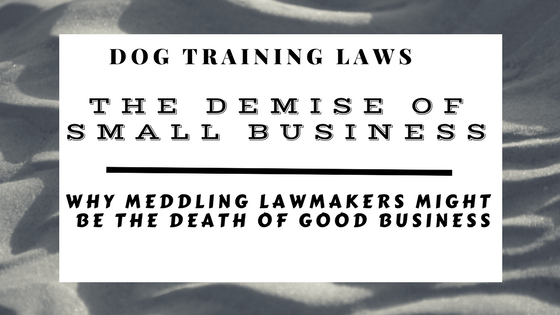 If your dog is growling, call a dog trainer and have them assess what is really going on. Your dog might be fear growling, or they might just need a re-ordering of their pack and their world outlook. If your dog is running away or avoiding Scary Things, this is generally a fear response and will require the behavioral shaping and rehabilitation described above. There are two ways I go about behavioral shaping for confidence building in fearful dogs. The first is the more traditional approach which involves gradual introduction and positive experiences. Within this approach you must decide with you will or will not also use corrections. This depends on the personality of the dog and the behaviors you are trying to undo. Some unsafe behaviors will require a correction before showing your dog what he should be doing instead. Sometimes the correction will also help your dog learn faster and thus be happier more quickly because he has finally figured out what he should and should not be doing. The correction implies that you are in the leadership role, as the leader gets to dole out punishment. 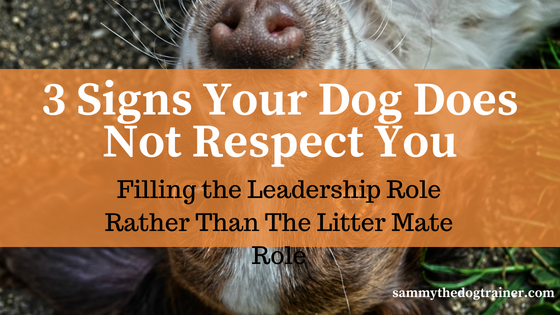 By assuming the leadership role, you are inherently giving your dog confidence because he or she no longer has to be the leader (which is a huge relief to most of them). However, sometimes it is best to only reward good behaviors and not administer any sort of corrections for undesirable behaviors. This is the case for super shy dogs or dogs that are only displaying avoidance behaviors and not fearful aggressive behaviors. The second method is what I call the Take the Plunge method. While it can seem jarring to the positive-reinforcement, clicker-training, only-give-my-dog-cookies crowd, I have seen it work time and time again. 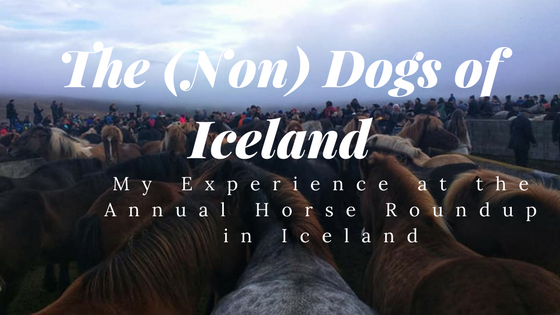 The dogs are all that much more happy and relieved to no longer be afraid, so do not discount this method because it seems rather abrupt. The key is to be confident, be present, and let your dog know that you, as the leader, will not let harm come to them. You must be unerringly confident when conducting this type of approach. I've seen Cesar Millan do this on his series a lot. Of course he still builds rapport with the dog first, but then he takes the dog and plunges right by the scary thing, ignoring it and happily going along. Eventually the dog is forced to realize that the Scary Thing is not actually scary. This is the same thing as the scary surface training I talked about above. Again, take into account your dog's personality and the behaviors before selecting an approach. If you try one for a while and it just is not working, there is nothing wrong with trying a different one. Do not stay married to one approach if it just is simply not working. Academic people! We want academic dog trainer and owners! It is okay to experiment (humanely, no Pavlov please). Figure out what works for you and your dog. It is paramount in both methods to dole out a lot of praise and rewards, even for small steps in the right direction. By doing this, you are turning the Scary Thing into the Thing That Will Bring Me Treat Opportunities. It is past my bedtime, so I will work on Part 2 and publish it soon.